Recovery Lighthouse is proud to provide CQC approved medical detox services for cannabis, cocaine, crack, heroin and prescription drug misuse, abuse, dependency and full-blown addiction in Worthing, a large town, with borough status, located in West Sussex in South East England. Part of the Brighton/Worthing/Littlehampton conurbation, Worthing district is divided into 13 wards and is part of a two-tier structure of local government split between Worthing Borough Council and West Sussex County Council. Along with Recovery Lighthouse, Worthing and the South Coast is known for housing many drug detox and rehab treatment facilities. Our CQC detox clinic is well known in the local community and is the default drug addiction detoxification unit for residents of wards, districts and neighbourhoods in Worthing such as Broadwater, Durrington, Findon Valley and Goring. Even though our private medical detox is the start of many of our patients’ journey, it is not the end. Most inhabitants of Heene, High Salvington, Offington, Salvington and West Tarring also avail of our 28-day rehabilitation programme, offered at our detoxification clinic. While we are a local specialist, Recovery Lighthouse is not limited to treating those suffering from drug misuse disorder, dependency or full-blown addiction, who live in the borough of Worthing. 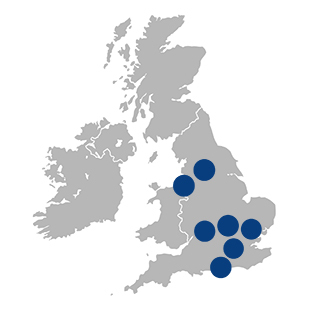 We are well placed geographically and by Sussex’s modern transport infrastructure to cater for those living in nearby hamlets, villages, towns and cities such as Brighton, Southampton, Littlehampton, Eastbourne, Portsmouth, Hastings and all others areas in East and West Sussex along with residents of the home counties and south-east of England in general. If you are suffering from any drug addiction, disorder or condition then call us for a free signs and symptoms assessment. If you live further afield, we can treat you in one of our 8 detox and rehab clinics across the UK – Call now on 0203 733 9983 and start your recovery journey! Our drug misuse detoxification clinic specialises in person-centred medical detox, therapy and holistic rehabilitation including a lifelong, sober support network and free aftercare programme. We are 5mins from the seaside; therefore, calming beach walks, clean air and fresh local food are all on the menu. We tailor to our clients dietary, therapeutic, and medical detox needs. We don’t use a one size fits all approach because every addicted person is different. Drug dependency is potentially life-threatening so our clinical medical team are experienced, qualified and dedicated to helping you cleanse toxins from your body and also heal your mind in order to free your soul. Medical drug detox is the safest and most comfortable way to flush drug toxins from your body. Our medical detox team consists of doctors, nurses, therapists and support workers meaning that every aspect of your physical, emotional and spiritual detox and recovery is monitored and treatment tailored accordingly. You will receive a prescribed, CQC approved substitutes such as Baclofen, Clonidine and/or Antabuse which will taper you off drugs while we also can prescribe medication to help with anxiety, stress and sleeping difficulties. Drug withdrawal is the grouping of symptoms that occur upon the discontinuation of intake of drugs i.e. medicinal or recreation, such as cannabis, cocaine, heroin, prescription drugs etc…. In order to make your drug detoxification process as comfortable as possible, we will use any one or a combination of the below medications to relieve your drug withdrawal symptoms. Methadone is commonly used for the treatment of heroin withdrawals. Naltrexone is used for both opiate and alcohol withdrawal. Buprenorphine is seen as a better alternative to methadone in the treatment of opioid addiction because there is a much lower potential for abuse and addiction. Lofexidine is commonly used in conjunction with a detox programme for the treatment of heroin or opiate addiction. Although created as a medication to treat high blood pressure, it has proved to be an effective drug in terms of relieving symptoms of withdrawal such as anxiety, cramping, muscle aches, and agitation. Clonazepam is a member of the benzodiazepine family of drugs and is intended for use in the treatment of conditions such as panic disorder and seizures. It’s sedative effects mean it is effective in treating symptoms of alcohol and drug withdrawal such as anxiety and insomnia. Bupropion is an antidepressant drug often used to help aid in the cessation of smoking. How Long Does Medical Detox for Drugs Take? Most periods of drugs detoxication last between 5-14 days. There is no one time fits all approach as each client has differing drugs intoxication levels, the drug of choice and physical attributes such as height, weight and build. During your drug detox assessment before and on the day of admission, you will undergo a thorough medical assessment which will allow us to make an estimation on how long your detox will take along with which drug withdrawal medications you will be prescribed. We don’t just use conversational therapies; we also utilise workshops focused on cross addictions, relapse prevention, walks by the beach, meditation, therapeutic assignments to mention but a few. By rehabilitating the mind, body and soul we essentially retrain the clients default coping mechanism from using cannabis/cocaine/heroin etc… to numb how you feel to using tools learned such as picking up the phone and calling someone, writing down how you feel and realising that your thoughts are just that and do not define you nor have to dictate your actions. Our private chef will tailor to your dietary requirements e.g. your diet during detox and rehab will be fresh, local, high in protein, green and root vegetables along with high concentrations of vitamin C. We ensure that your diet is benefiting your physical recovery from drugs abuse, dependency and/or full-blown addiction. During your pre-admission assessment, we will help diagnose if you have a cross addiction. Many cocaine/cannabis/heroin addicts have a cross addiction with other drugs and/or alcohol but are blinded by their “core” addiction. When they put down one substance they misuse another without even realising they have literally substituted one addiction for the next. The good news is that if you have cross addictions, our Care Quality Commission approved medical detox and therapeutic rehabilitation programme will treat you holistically on a client by client basis. Your addiction recovery is our mission statement so if you are abusing your mind, body and soul with multiple drugs do not hesitate to call us! We specialise in providing tailored detox & rehab programmes to the client with dedicated family support. Drug addiction rarely affects just the individual, and we appreciate that this can be a stressful time for all those concerned. If you have any questions regarding our drug rehabilitation clinics, treatment needs, locations and cost – we can answer them! Post detox/rehab, some people may experience prolonged side effects. This is known as Post-Acute Withdrawal Syndrome (PAWS). PAWS involve withdrawal symptoms that occur after an acute withdrawal and can make post-rehab life challenging for some individuals with PAWS lasting anywhere from a few weeks up to a year. Leaving rehab and having to face the reality of day-to-day life can be an extremely daunting thought. While you may be determined to continue living a sober life, external triggers and temptations exist and dealing with these alone can leave you feeling isolated. To support you during this vital time, we have created a two-tier approach to long-term sobriety. We provide one year’s free aftercare support sessions every week in the rehab you attended (or nearest clinic). Here you will engage with a group based therapeutic approach, with family/loved ones in attendance (if you so wish) and you will also have the opportunity to speak with your therapist one-to-one. We have built the UK’s first sober recovery network for all those who have attended a UKAT treatment facility. This lifelong recovery network is called UKAT Connections – a gateway to lifelong sober companionship. Events include Christmas parties, dinners, adventure days out and, of course, summer BBQs. This is the future of permanent recovery, and we are proud to be the first rehab family in the UK to offer it. Many people fear that putting down drugs means losing their social life. At UKAT we say it’s only just begun! Please call to hear more about rehab, recovery and lifelong happiness. If you have any questions regarding our private drug detox clinics, rehab and aftercare programme, treatment needs, locations and/or cost – call us today!